My favourite Jo Malone scent is Blackberry & Bay, so this line up was pretty much guaranteed to win me over. Sorrel & Lemon Thyme immediately jumped out at me as I love a citrus scent and this one is so invigorating, though on my skin, I love Wild Strawberry & Parsley the most. This is no sugary fruit scent, though the soft juicyness is there, becoming bright and leafy when juxtaposed with peppery flat leaf parsley. Initially quite succulent and herbal, boosted by tangy tomato leaves and blackcurrant, the sweetness comes through quite quickly and settles somewhere in between. I love the attention to detail, each bottle a slightly different shade of green glass, the back decorated with one of its ingredients. 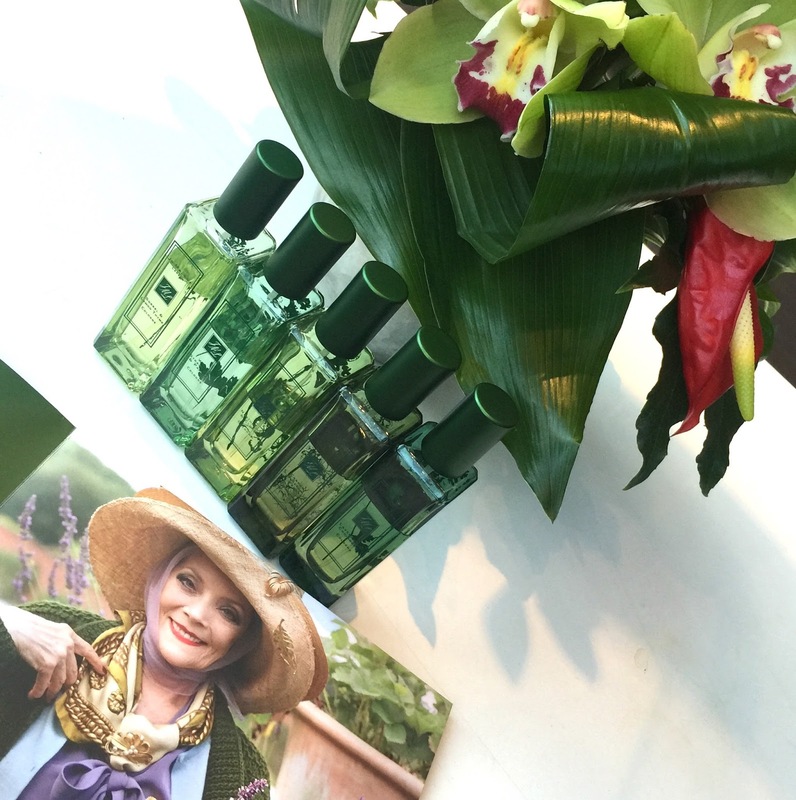 Check out those lush greens... NB I took this pic at the launch - this is not my dressing table - mores the pity! How refreshing to see 80 year old model Gitte Lee as the face of this campaign. 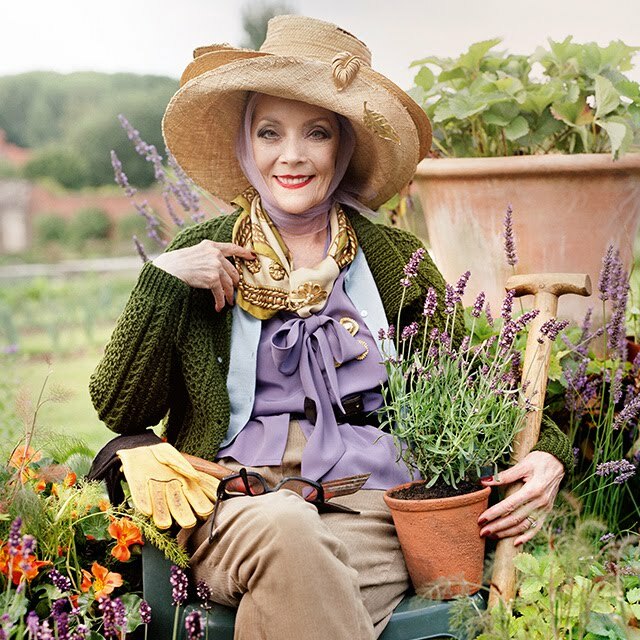 The actress and wife of late Dracula star, Christopher Lee, looks so very elegant and charming and totally at home in her herb garden. Wild Strawberry & Parsley is the perfect Spring daytime scent and I've loved wearing it daily. ...the aromatic artistry of herbs; verdant, crisp, juicy and sweet." Jo Malone London's limited edition Herb Garden Collection is available now in 30ml bottles priced at £44 each - find it here. Which one appeals the most to you?